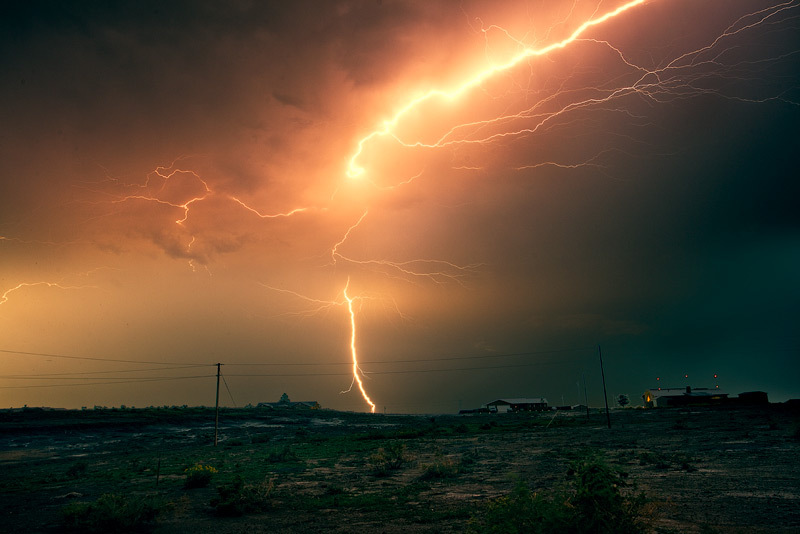 Huge lightning bolt lights up the landscape over the Colorado plains. The storms that resulted in serious flooding over parts of southeast Colorado last night also put one heck of a light show last night. I spent about half an hour taking close to 100 5-20 second exposures from in back of my house, looking southward towards Pueblo. Almost every shot captured a lightning bolt, but this one above was extra huge–so bright it lit up the prairie for a brief second. To give you an idea of just how powerful this one strike was, the first shot was probably the second strongest of the nearly 100 strikes I captured. Quite an electric night! 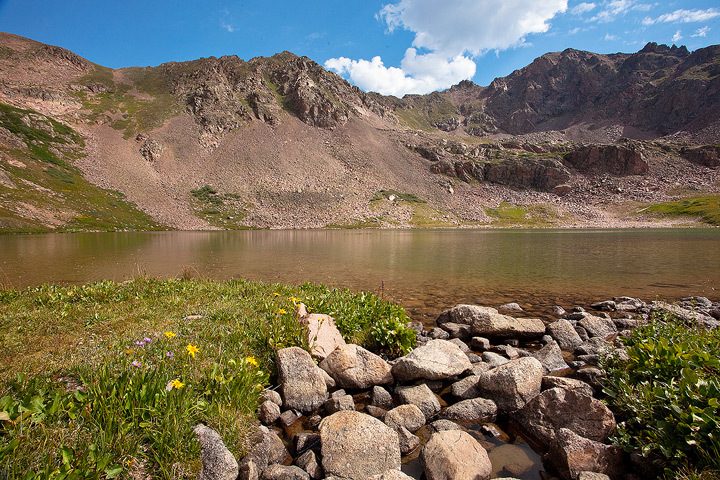 Deluge Lake: Look, Ma–no tripod! 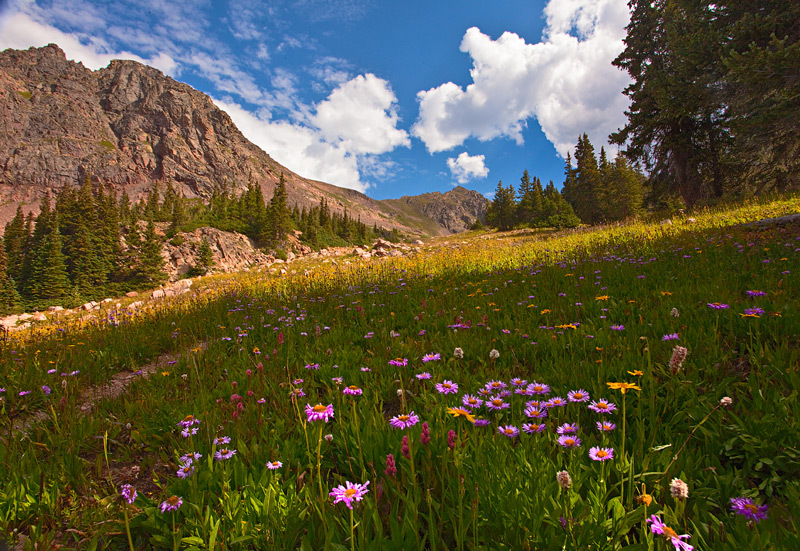 August brings wildflowers to the Deluge Lake Trail near Vail. Every summer, I always take one hike for which I leave most of my camera gear behind. I take my camera and one lens; no tripod, no other lenses or filters. It’s a liberating exercise that reminds me of why I got into nature photography in the first place. No worries about getting good light or a good composition; just a pleasant day in the mountains. 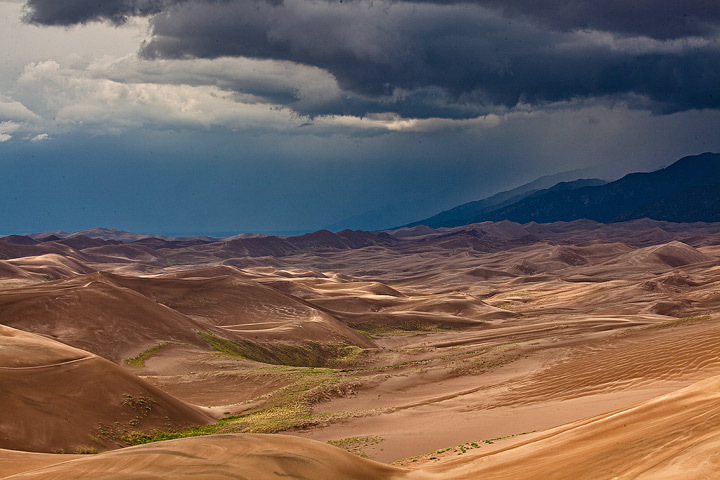 August is my favorite month to photograph the Great Sand Dunes National Park. 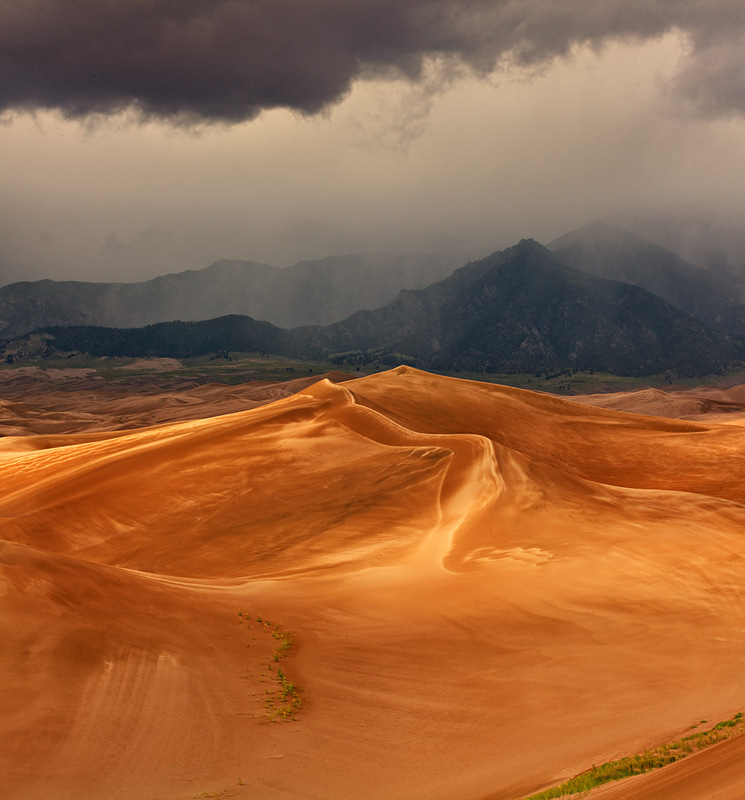 The monsoon is in full swing, and afternoon thunderstorms intensify the dramatic lighting in the dune field. Sunflowers bloom for a brief time and provide a splash of color amidst the desert landscape, and are symbols of life and perseverance against adversity. 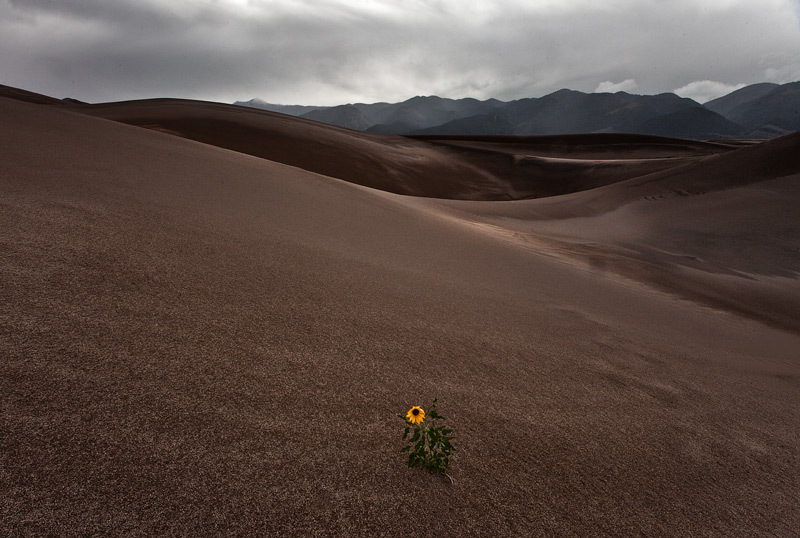 Recent heavy rains convinced me that the flowers would be blooming, so I headed out to pursue my goal of catching the ultimate sunflower-and-dune image. I’ve been making this pilgrimage every year for the past 7 years or so, and it never disappoints me. 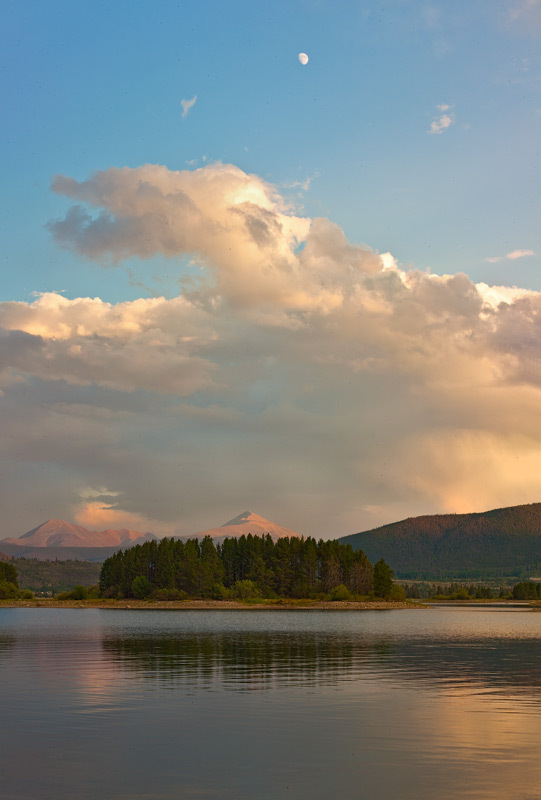 As I drove up the dunes highway, I could already see a huge thunderstorm building over the Sangre de Cristo Mountain range that looms behind the dunes. A brief spurt of hail pelted my car, and I could see streaks of white on the dunes from the passing hailstorm. 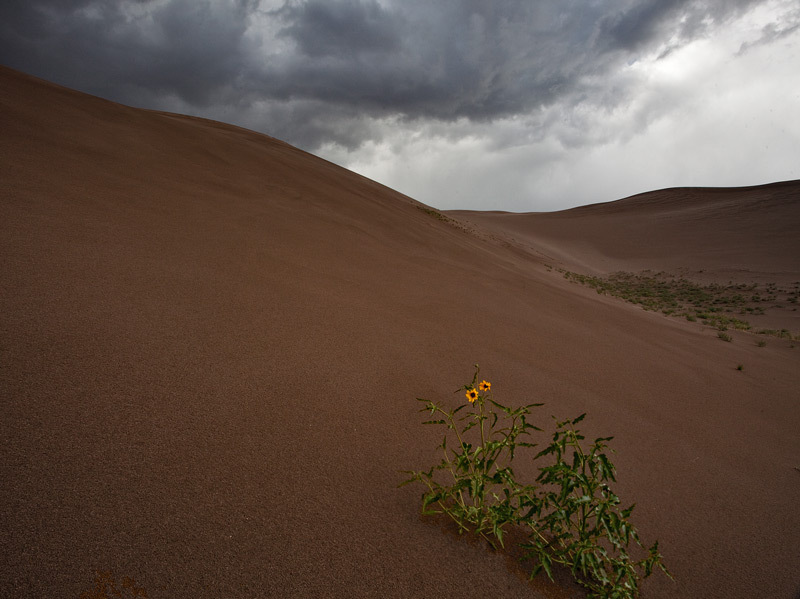 After stopping at the Visitor Center to say hi to some friends who work at the park, I headed out to the dune mass to look for some good sunflowers. 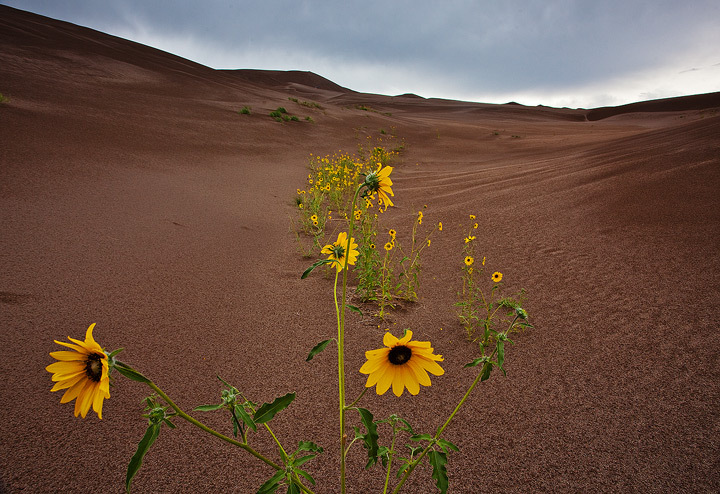 The flowers bloom throughout the dune mass, but finding the ‘perfect’ flowers that accentuate the dramatic landscape is a bit like looking for a four-leafed clover. But it didn’t take long to find some great subjects. I continued to climb, to a subsidiary dune next to High Dune, a prominent spot that is the destination for many visitors to the park. 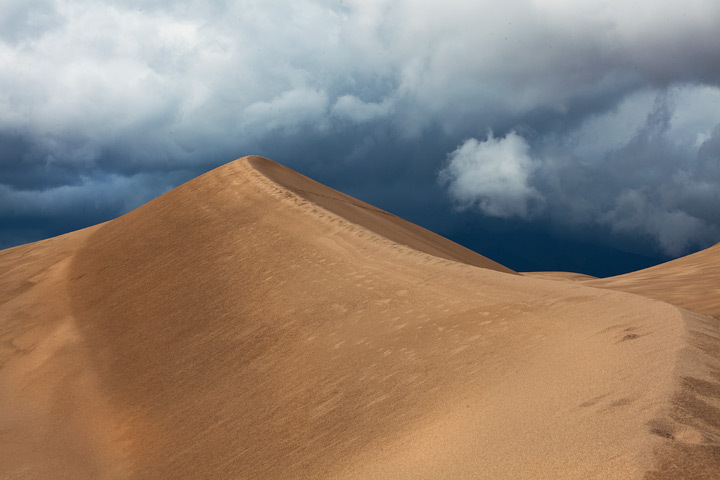 As I reached the summit of the 700 foot tall dune, I started to hear thunder reverberate from the nearby mountains. Thunderstorms were building all around the dune mass. 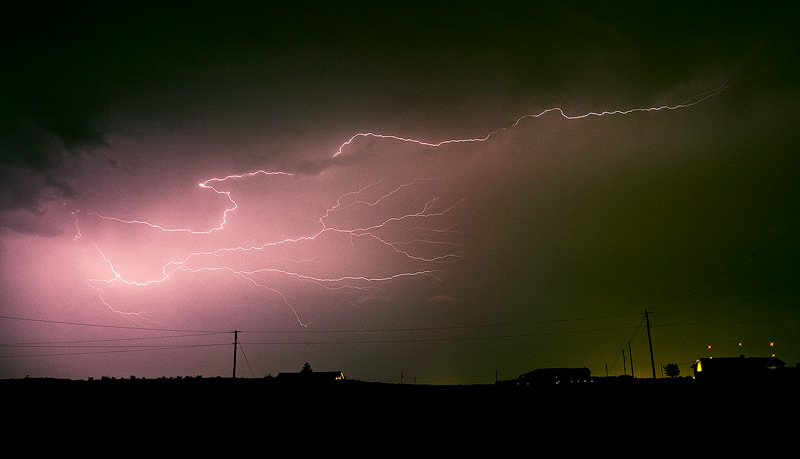 I saw a couple of flashes hit the mountainsides. As the storm continued to build, the light on the dune became more and more dramatic; light and shadow intensified along with the colors in the late afternoon light. I was torn between sticking around as the light and colors continued to intensify, or rushing downward to relative safety. I wasn’t the tallest point on the dunes, but I definitely wasn’t in a safe spot. 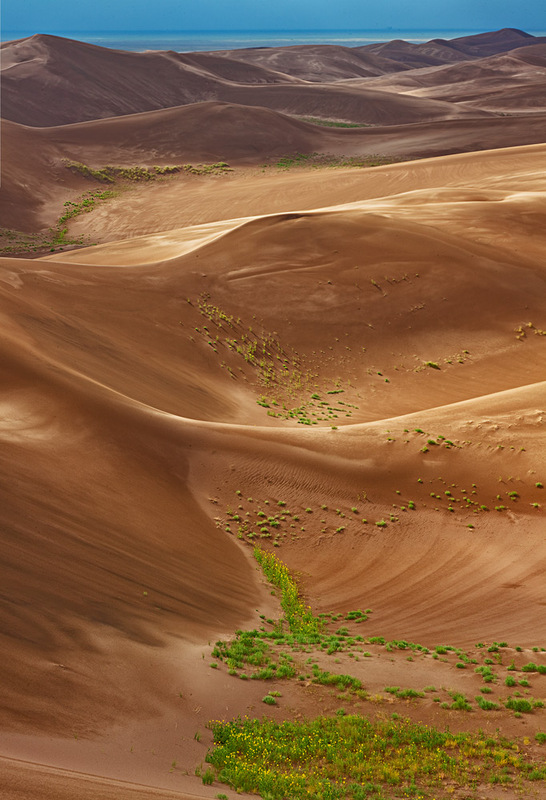 The wind began to pick up and a few drops of rain pelted my face, along with waves of sand blowing off the dunecrests. I grabbed a couple final shots, including the one posted first here, and then quickly headed downwards. The view from the top of the dunes was incredible; the recent rains really enriched the subtle colors of the dunes, and the vegetation around the dune mass was as green as I have seen there. On my way down, I spotted a lone sunflower that really stood out from the others. As the wind continued to bear down on me, I quickly stopped and set up my tripod low to the ground. A trick I have learned from previous shoots is to shoot in the direction of the wind to minimize the blur on the flower. The light was intense; I had found my elusive subject! Now that thunderstorms had chased me from the dunes, I drove to the south side of the park in hopes of catching a rainbow. 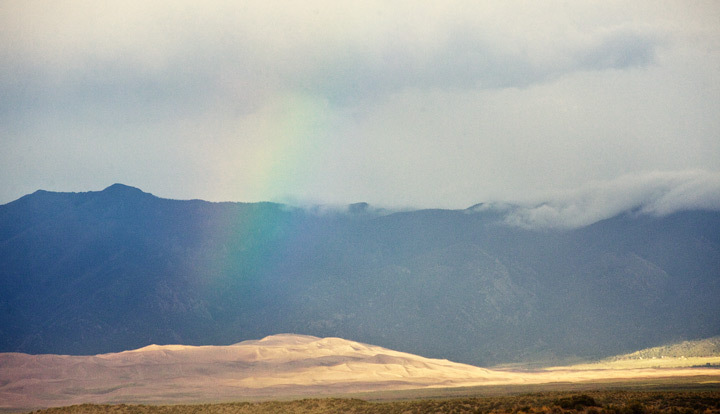 My luck panned out as a brief rainbow appeared over the distant dunes. 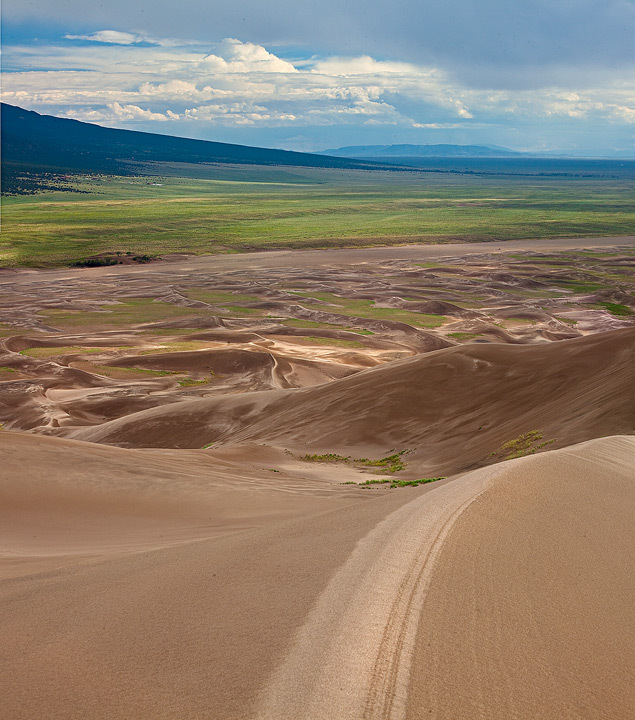 Just another great August afternoon at the Great Sand Dunes!